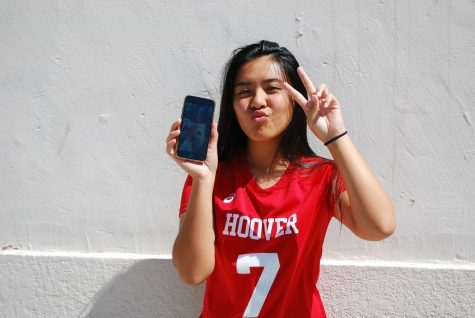 Amie, a junior at Hoover High, is Vietnamese and Chinese, but born and raised in San Diego. She has a half brother and twin sisters, but she live with just her dad. When she was in third grade, she lived in Hawaii with her mom, but ended up moving back to San Diego. She has been a staff writer for three years now. She plays volleyball and basketball. She loves listening to contemporary R&B and Hip Hop. Her favorite artists include Khalid, Trungtastic, and Chance the Rapper. When she graduates, she wants to attend San Diego State under a kinesiology major to become an athletic trainer. After getting her bachelor's degree, she wants to go onto medical school to become a pediatrician. A lifelong goal she also want to accomplish after she graduate is to travel around the world.